CES 2018: Colgate's Connect E1 is the world's first smart toothbrush with Artificial Intelligence (AI). Colgate today launches the new Connect E1 Smart Electronic Toothbrush with Artificial Intelligence (A.I). Colgate is taking a leap forward by providing users with real-time feedback about their brushing so they can take better care of their oral health. The new Colgate Smart Electronic Toothbrush use Apple ResearchKit - with the user's permission - to crowd-source tooth-brushing data to get even smarter about oral care for better and faster future innovation. The new Colgate Smart Electronic Toothbrush provides real-time feedback to improve brushing habits and help prevent problems before they start. Designed with the help of dentists, the brush features real-time sensors and artificial intelligence (A.I) algorithms to detect brushing effectiveness in 16 zones of the mouth. The toothbrush uses Bluetooth connectivity and sonic vibrating technology and is powered by Kolibree - the smart device company that is a pioneer in embedding connected toothbrushes with artificial intelligence and 3D motion sensors. 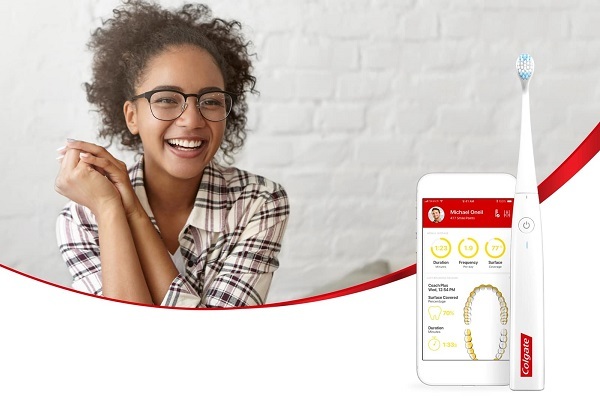 The Colgate Connect app is integrated with Apple ResearchKit and features a 3D brushing coach to create an enjoyable oral care routine while encouraging better brushing habits. + Sensors track brushing coverage and give real-time feedback on your technique, so you’ll learn how to brush just right. The Colgate Smart Electronic Toothbrush will be available for Recommended Retail Price $99.95 USD beginning January 9 in the US exclusively at Apple.com and in select Apple Stores.